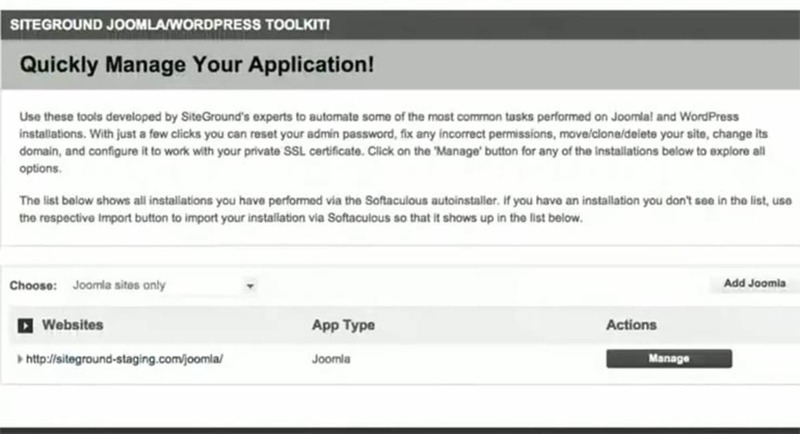 SiteGround have recently launched a new set of tools to assist in the management of WordPress and Joomla installs. Published: May 7, 2014. 13:11 +0100. 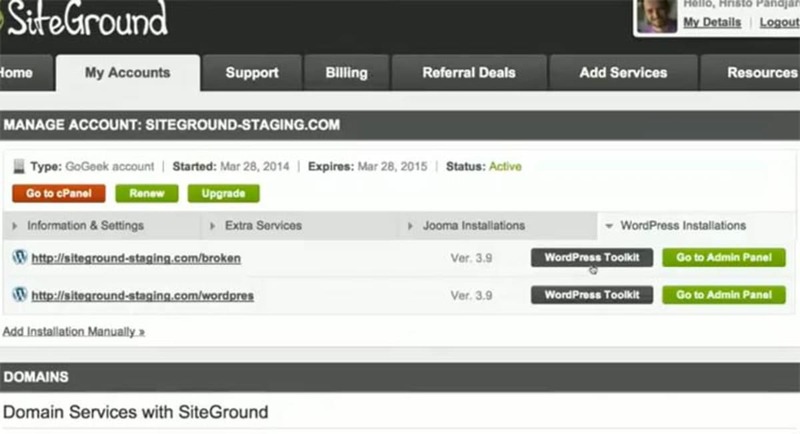 SiteGround has recently launched a new set of tools to assist in the management of WordPress and Joomla installs. Of course, this is nothing new for SiteGround; they continue to astound us with new features being released almost every month, but in contrast to their developer features these Toolkits are available on ALL plans. Completely remove an application’s files + database. Before now, to use carry out these tasks you would have had to implement manually them using tools such as FTP, phpMyAdmin, etc. If you are not technically minded, you may have even needed to outsource some help, or ask the SiteGround support for assistance. In a follow-up to SiteGrounds announcement of the new features, they ran a Google Hangout that endeavored to showcase how easy the new features were to use and to answer any questions that you may have had with them. A video of the Hangout is below, but if you don’t have time to watch the video, we have included a summary of the hangout below. 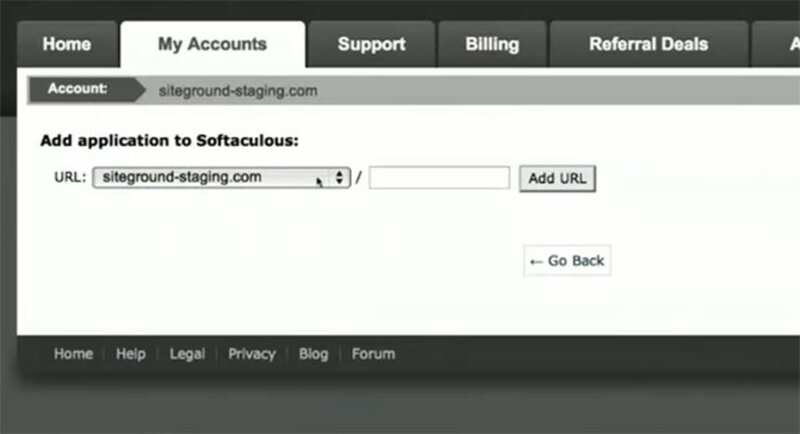 SiteGround allow you to access the toolkit via cPanel or via your user area. 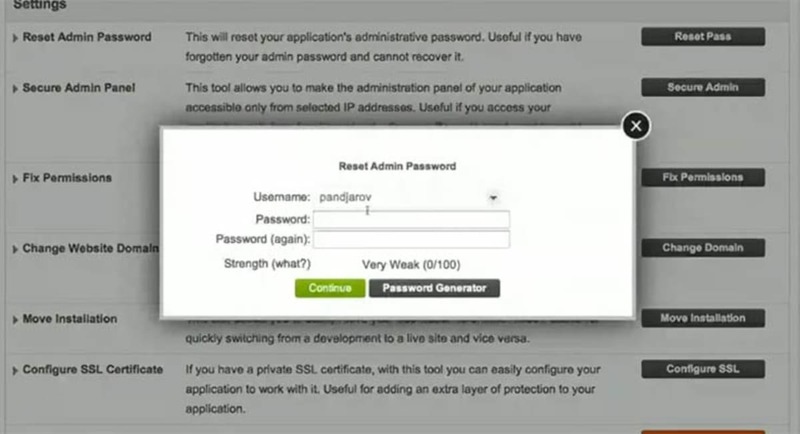 Access SiteGround toolkit. © Screenshot. 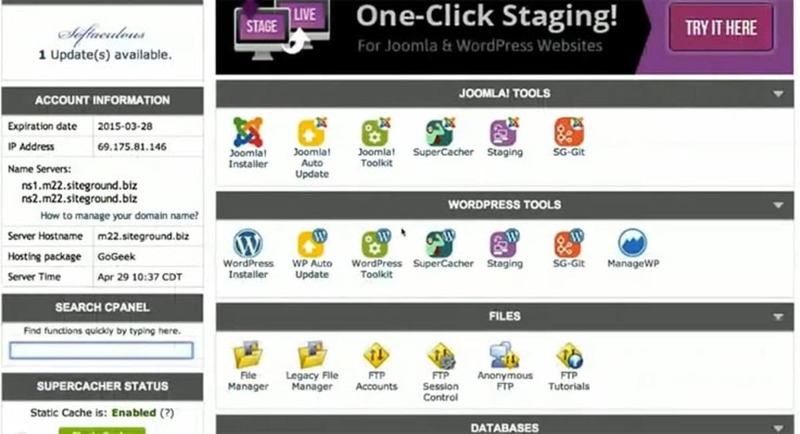 You will see above that there is a tab for each of your WordPress and Joomla Installations. SiteGround toolkit cPanel. © Screenshot. 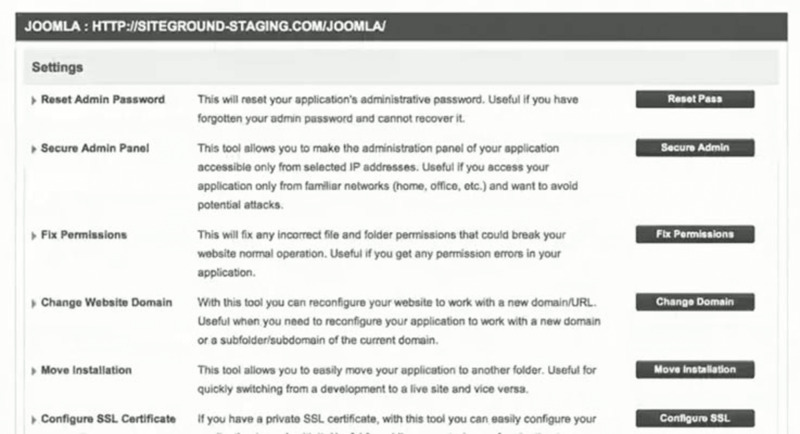 You will see in the cPanel that the Joomla! Toolkit and the WordPress toolkit are under their respective categories. 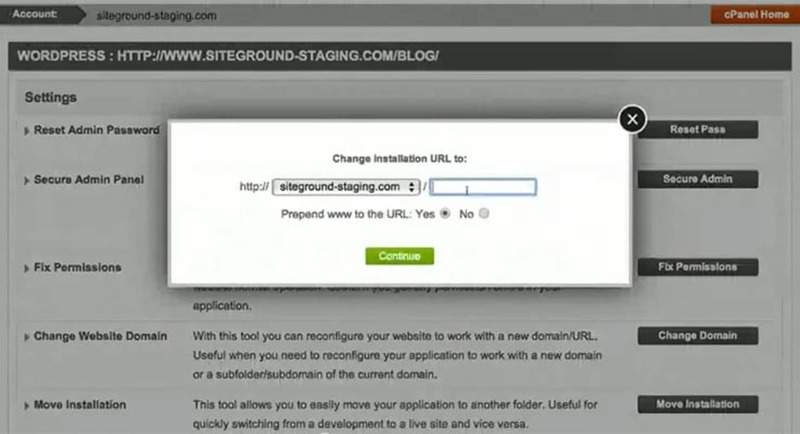 SiteGround toolkit interface. © Screenshot. Here you will see only see the WordPress or Joomla installations that have been installed via SiteGround’s single click installation tool. Don’t worry, though, you can manually add your websites to the tool, by selecting the “Add Joomla” or “Add WordPress” button. In the screenshot above we only have “Add Joomla” showing because we have selected only to see “Joomla websites Only.“ You can choose to see either WordPress, Joomla or both at the same time, and the respect options will then appear. You simply need to add the relevant folder (if any) and select “Add URL.“ Once done, it will show up in the list of websites that you can manage. 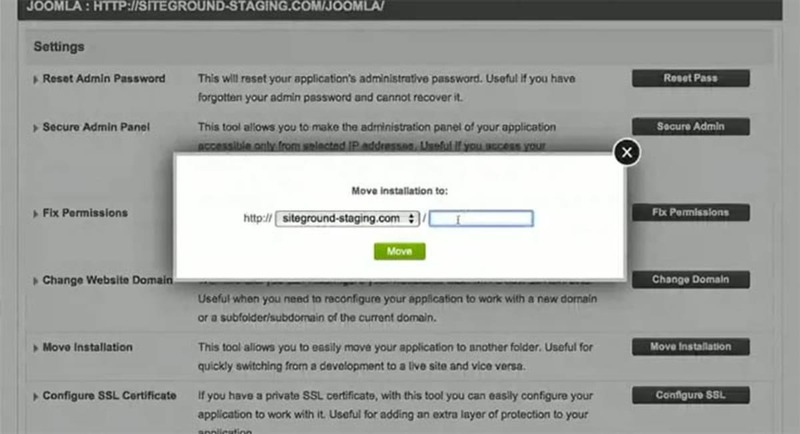 Manage your websites with the SiteGround Tools. © Screenshot. You can restrict access to your admin. area to individual IP addresses for better security. 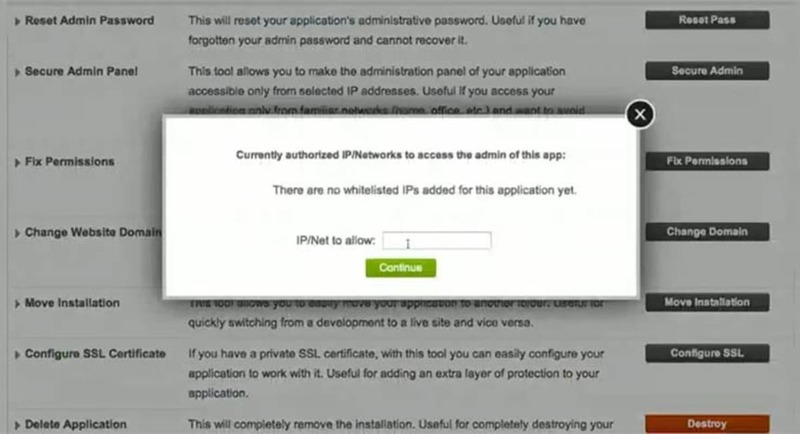 You just enter your IP you want to retain access from and press “continue”. Now your admin. area can only be accessed via your location. You can find your IP via a website like whatismyip.com. This is useful where you may have manually moved or changed the location of your installation. When you visit the website, you will often find no formatting, and essentially a broken website. This feature will change all the relevant file to ensure everything works perfectly. Change Primary Domain. © Screenshot. Move your application. © Screenshot. 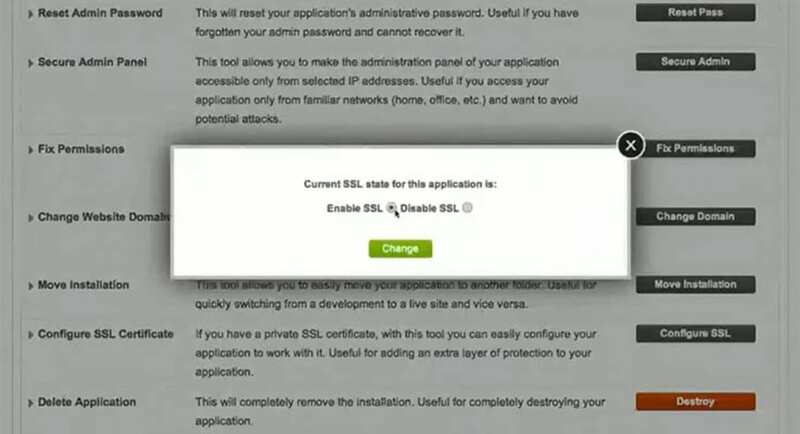 This tool quickly and easily sets your app to work with an SSL certificate with just a click of a button. You need to have a working SSL certificate on your account for this to work. 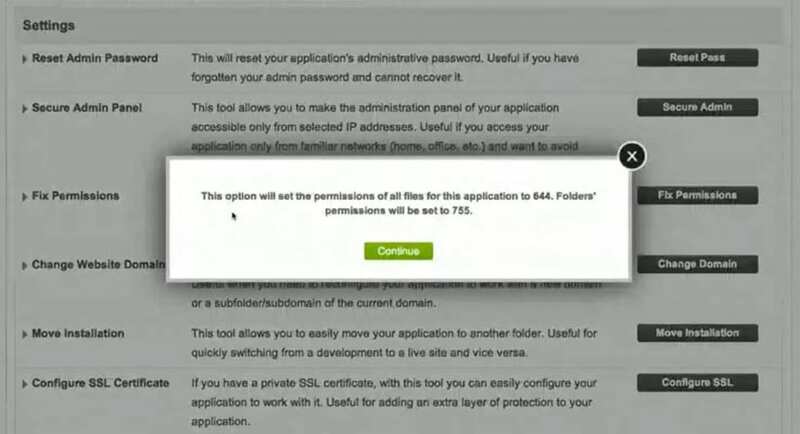 Configure your application to work with an SSL. © Screenshot. 7. 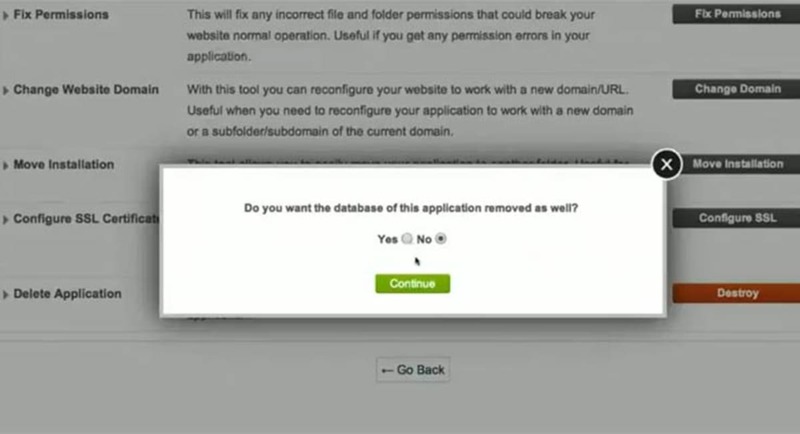 Completely remove an application’s files + database. As you can see these tools have the potential to save you a lot of time and headaches. While it is available on every SiteGround plan, we still recommend either their GrowBig Plan to get their full SuperCacher features, or their GoGeek plan to get their developer features.